A sound recording by Adrian Clarke born at Jacksdale Post Office in the early 1940’s during WW2. Adrian’s parents were the first to run the post office from its present day location. 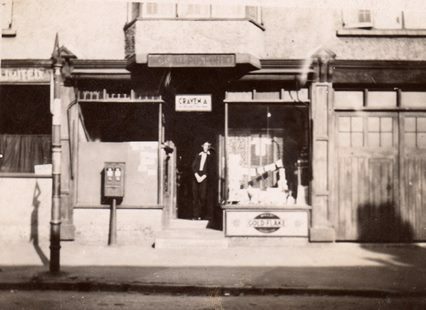 Prior to that the building was Rostrum’s painters & decorators shop. As well as offering post office services, they were the sorting office for the Jacksdale Postal District which covered quite an area and they still had space to grow a few vegetables out back and keep a pig.